The AB Community has many heroes and because we practice inclusion not separation from the greats with our accomplishments, The Albinism Alliance Group salutes individuals making a difference by following their dreams. 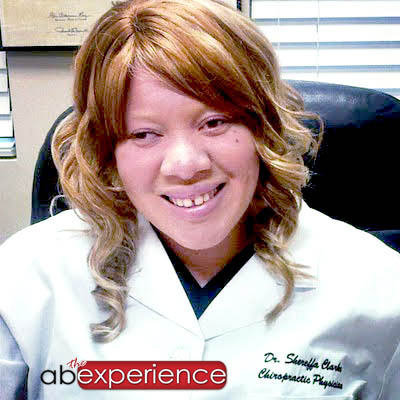 I ran across an extraordinary individual while surfing twitter through “Albinism News” and was proud to meet a doctor of medicine with her own practice in the state of Florida. With her expressed permission I am profiling Dr.Clarke of Clarke Chiropractic and Rehabilitation for The Albinism Alliance Group. Dr. Shereffa Clarke was born in Montego Bay, Jamaica. She migrated to Broward County Florida with her family at the age of seven. At a very young age Dr. Clarke knew she wanted to serve her community through healthcare. While attending Plantation High, Dr. Clarke was a part of Health Occupations Students of America (HOSA) an organization that fostered young people desires to enter into healthcare occupations. She was involved with numerous other activities while in high school, graduating in the top twenty-five percent of her high school graduating class. Dr. Clarke graduated from the University of South Florida with a Bachelors of Science in Biomedical Science, with the Honors College designation. Dr. Clarke graduated from Palmer College of Chiropractic Florida where she earned the Doctor of Chiropractic degree. Along with serving her community through chiropractic, Dr. Clarke does community service in the form of road clean up, American Heart Walk, Relay for Life, Breast Cancer Walk and much more. She is a proud Member of The Faith Center Church in Sunrise, Florida. Dr. Clarke also serves her community through education; she is an adjunct professor at Broward College in the Biology department teaching Anatomy and Physiology.